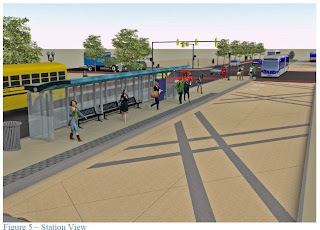 The Alexandria Planning Commission will hold their regular monthly meeting tonight where the items of interest include a public hearing and recommendation for the design of the transitway stations along Route 1 (Tues. 7/2 at 7:30 PM, City Hall, Council Chambers). The Route 1 Transitway design was approved by the Planning Commission at the May 1st, 2012 hearing. 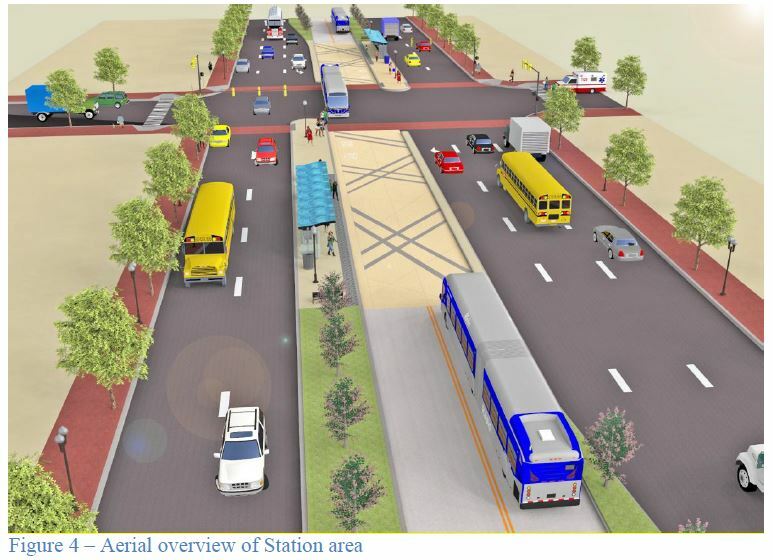 At that time, the design of the Transitway stations was still conceptual, but because of the importance of these stations, the Commission requested that once the design was more complete, the final design be reviewed by the Planning Commission. 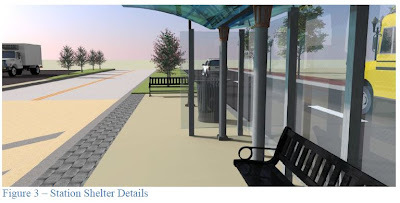 City staff has advanced the design, provided two opportunities for public input on the station design, including a public meeting and an online survey, and is presenting the final design for review by the Planning Commission. The station design is similar to the form and design to be used by Arlington County. Riders will pay their fare before boarding the vehicle, using a proof of payment system and periodic enforcement checks through the corridor. This will allow for passengers to board all doors of the vehicle, decreasing vehicle "dwell times" at the stations and resulting in a more efficient service and shorter travel times. Off-board fare collection equipment on the station platforms will be fully integrated with the regional SmartTrip card. 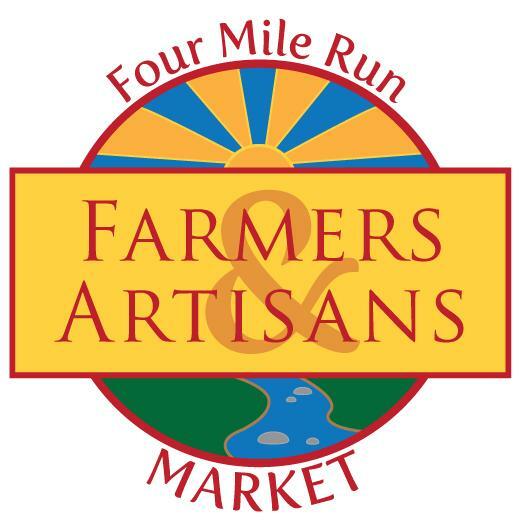 Additional equipment will be provided that accepts coins and credit cards. Transitway stations will include electronic signage displaying predictions regarding bus arrival times, as well as system or emergency information, as needed. Real-time information displays attract riders by providing greater and more reliable information. The station platform height is set at 10-inches (rather than 6-inches as a regular curb). This additional height reduces the need for the vehicle to kneel to allow passengers to board, thus reducing dwell times at stations and improving the efficiency of the service. The crosswalks within the dedicated portion of the Transitway and adjacent to Transitway stations, will include colored (brick red) concrete. The crosswalks will be 10 feet wide and will be lit to an average 2.0 footcandles to ensure visibility and a safe pedestrian environment. The existing pedestrian signal push buttons will be upgraded to allow for audible message capability rather than audible chirping.Colored concrete will distinguish the Transitway from the surrounding roadway. 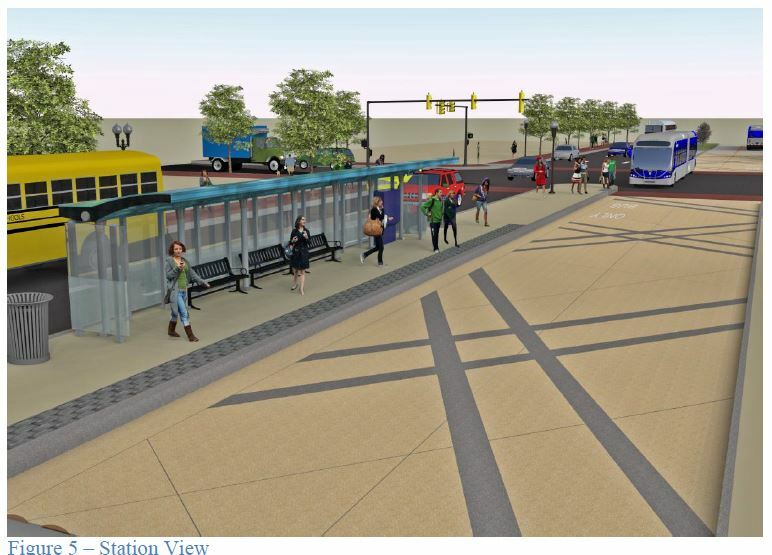 A representation of rail lines from the rail yard will be incorporated at Transitway stations. "The final design is a high quality station structure design consistent with the intent of what has been previously represented to the community and Planning Commission. The stations have also been designed in a way that integrates the unique and identifiable elements of the City and Potomac Yard." Construction for the Route 1 Transitway is on schedule with operation of the transitway to begin in the Spring/Summer of 2014. Once the transitway construction is complete, the staging area will be removed and the site will be restored to its present condition.